To give safe, speedy, dependable railway service at reasonable cost. To give the staff good wages, security, and conditions as good as is reasonably possible. To make British Railways pay their way. This same booklet just a few pages later urges new recruits to learn the routes of the railway system, and notes that the new starts own region contained maybe 3,000 route miles, or maybe more. Luckily the booklet came complete with a map of the entire system. Hmm – “Cheerful obedience” eh? Maybe some of the old companies’ management styles were still around – I gather on the Western Region, railway staff were still referred to as the company’s servants. I know it sounds a bit odd to us nowadays, but despite the enormous changes taking place in the post-war society, some aspects took a while to die off. Amongst numerous other facts, although the idea that any new sleepers used annually if placed end to end would form a plank between London and Calcutta (Kolkata today), seems an odd one. The remainder of this booklet goes on to describe how the all six regions work, from signalmen, ticket collectors, lorry drivers, permanent way gangs, booking office and control office staff, station porters to workshops staffed by fitters, plumbers, electricians, etc. There are several pages about opportunity, either promotion within a department, or moving to another role somewhere else, but there is a particularly interesting comment about the influence of the private companies practice over the nationalised system. It was stated that it may not mean anything to the new start, but the old practices were still in place in almost everything said or done in 1953. Maybe that was partly to blame for the Western Region’s enthusiasm a few years later for its chocolate and cream (ex GWR) livery on main line rolling stock, and its ultimately failed attempt to use hydraulic transmission systems for diesel locomotives. Training was emphasised, along with opportunities for further education such as day release, or night school, for many engineering or craft apprentices. These training options lasted well into the 1970s, and have only recently seemed to die out – perhaps as Britain’s engineering industry began its long, slow decline. Some of these ideas, policies, and practices changed significantly over the years, for a new starter on British Railways, and later British Rail. A decade later, the same booklet was produced, but this time, with a foreword by the then chairman of the British Railways Board – Dr Richard Beeching. The change in tone from the tone of the introductory remarks in the 1953 edition is quite marked. Fascinating, still generally paternal in approach, but now with little reference to public service, or stability. Perhaps rightly reflecting the very dramatic changes that Beeching and Marples brought to the railways, using the hook of new technology and promotion for those ‘bright minds’. The comment he made about needing to … “ design and operate new equipment” …. Suggested the door was closing on the old style railway workshops as engineering education and apprenticeships. There was clearly a theme that reflected the change that BR was undergoing, and technological progress was affecting the available career options, whether in engineering, traffic, or administrative roles. 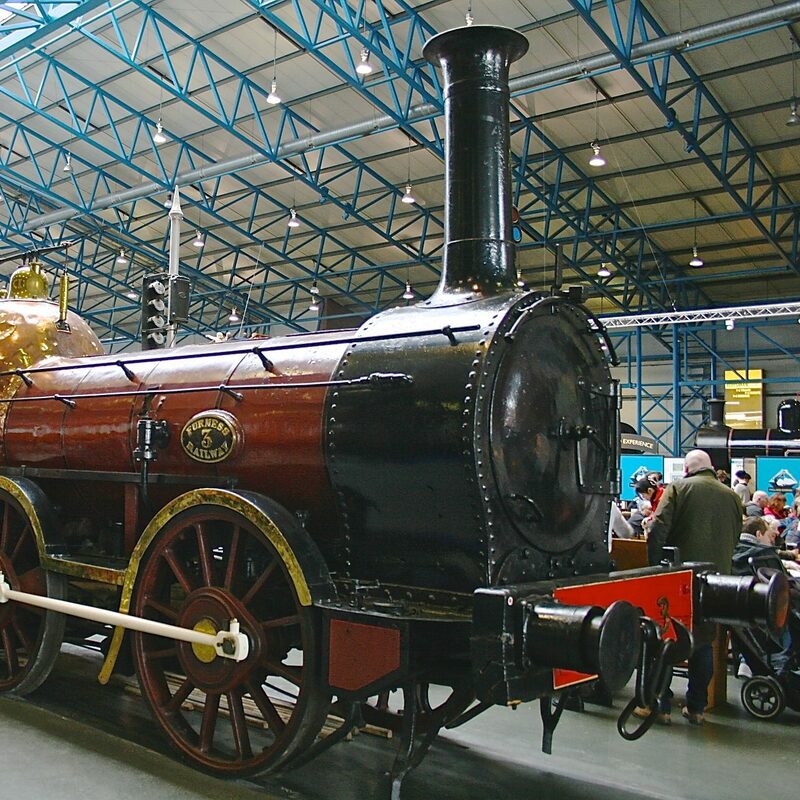 The prospect of secure employment on the railways was seen as diminishing, and yet BR was actively developing and inventing technology that is still in service today, and not just in the UK. BR was also still active in ferries and coastal shipping in the early 1960s, and operated cross-channel hovercraft services under the “Seaspeed” label, in partnership with SNCF. So, yes, there were still prospects for those ‘bright minds’, but by the 1970s, with the exception of the ill-fated APT, and the extension of electrification from Crewe to Glasgow – as promised in the 1950s, things were beginning to slow down. There were regional variations of these booklets too, and the example below is from the London Midland, and dates from 1961. The cover would look particularly patronising today, but as it is important to say, that was how society at work and play expressed its opinions on roles. This particular booklet was issued by the LMR’s Traffic Department, and obviously focused on the roles that operated the trains. This included a variety of jobs from cleaner, through the other footplate roles, and you could start as telephonists, junior porters, messengers and letter sorters. In 1953, statements about pay were included in a section marked “WE and YOU”, which had become “Rewards and conditions” by 1963, but in both examples, the rates were agreed in negotiations with the trades unions. This included basic hours of duty, and overtime payments when necessary at a higher rate. The actual hours had changed too in the 1950s, and the ‘guaranteed week’ of 44 hours had been reduced to a 42 hour week by 1963 – for what was then called “wages grades”. There was a mention of “Security” in 1953, which is not mentioned in later editions. However, the security refers more to the value of the “guaranteed week” – clearly no longer available to anyone on a “zero hours contract” in 2019 – and to sick pay and other “benevolent funds”. For BR’s new recruits in 1963 this was referred to under “Pensions and sick pay”. Looking at the wages in the above list from 1966, it is difficult to relate to what this meant in practical terms, but a great deal of information provided to new starts covered pay, promotion routes, duties, responsibilities, health and safety, leisure and recreation. I wonder how much of that remains in place for many businesses today.